State Rep. Paul Lundeen, a Monument Republican and former chairman of the State Board of Education, declared Wednesday he's running for the Senate District 9 seat held by state Sen. Kent Lambert, with the term-limited GOP incumbent's endorsement. "We have achieved success in the House rolling back federal intrusion into our local public schools," Lundeen said in a statement before the announcement, which was scheduled to be held at Pine Creek High School in Colorado Springs. "Legislation we prime sponsored kicked the unpopular PARCC test out of high school and began reducing the Common Core footprint in our schools. A move to the Senate will give us broader opportunities to put control of education into the hands of parents, where it belongs." Lundeen said that moving to the state Senate will give him a chance to better exert the leadership and influence he's built up at the Capitol. "Fighting for the people of El Paso County and Colorado Springs fires me up," he said. "We have had some great success and now we're going to leverage that into bigger gains as we make government smaller and people freer." Lundeen, who serves on the House Education and Judiciary committees, was first elected to his House District 19 seat in 2014 after four years on the State Board of Education. It's among the most heavily Republican seats in the state - Lundeen didn't face opposition in either the primary or the general election the first time he ran, and he rang up nearly 80 percent of the vote running for reelection last year. Lambert, a retired Air Force colonel and chairman of the powerful Joint Budget Committee, likewise won election to his most recent Senate term in 2014 without either a primary or general-election opponent. He was first elected to the state House in 2006. Calling Lundeen a "remarkable champion for the people of El Paso County and the students of Colorado," Lambert gave his full-throated endorsement in a statement before Lundeen's announcement, where Lambert was also scheduled to speak. 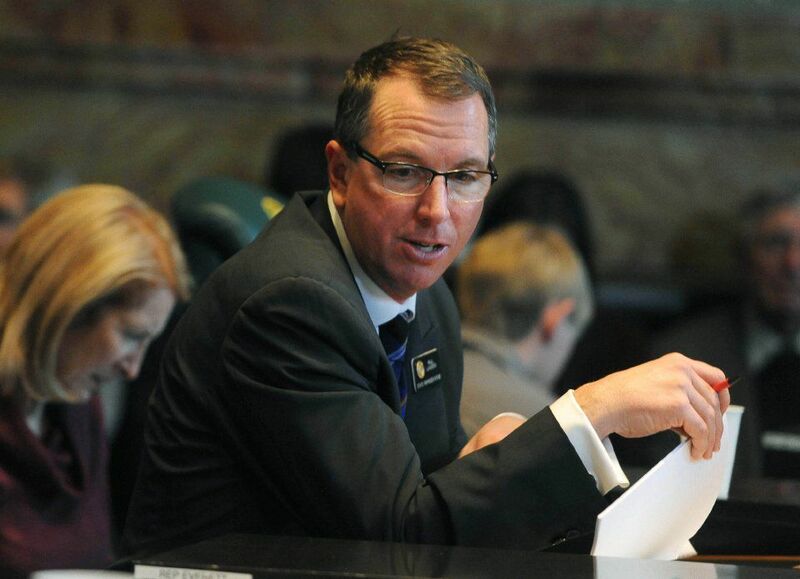 "Lundeen has proven himself effective first on the State Board of Education and now as a difference-maker in the Colorado House-the guy gets things done," Lambert said. Lundeen also pointed to his efforts as a lawmaker to combat human trafficking. "Each year we've served we have prime sponsored and passed legislation to create policy and provide tools to law enforcement to reduce the threat human trafficking posses to our children and grandchildren right here in Colorado," he said. "It has been an honor to work with the attorney general, the district attorneys, the Human Trafficking Council and law enforcement to take steps to eliminate this heinous crime." Earlier this year, Lundeen introduced a ballot measure to shorten Colorado's 120-day legislative sessions - to 60 days in even-numbered years and 90 days in odd-numbered years - and overhaul the way lawmakers approve budgets, among other changes. The proposed constitutional amendment died in the Democratic-controlled House State, Veterans and Military Affairs Committee on a party-line vote.